Lindsey is a 13-time U.S. national ski jumping champion (normal and large hills) and she has more than 50 top-three finishes internationally, including eight wins. She also holds the North American women’s record with a jump of 171 meters. Before the Olympic Games in 2010, she held the hill record for men and women in Vancouver, which was 105.5 meters. Lindsey Marie Van was born on 27th November 1984. She was born in Detroit, Michigan and has a twin brother named Brandon. Her father Barry was a cargo ship captain and rarely was home in the first couple years of the twins’ lives. Barry and Lindsey’s mother Miranda decided to leave Detroit for a new start – Park City, Utah. They both loved to ski and wanted to share that love of the outdoors with their kids. Soon the twins started skiing on their own and at age 7, Lindsey discovered ski jumping. Since she was 9, Lindsey has dreamed of being an Olympian. 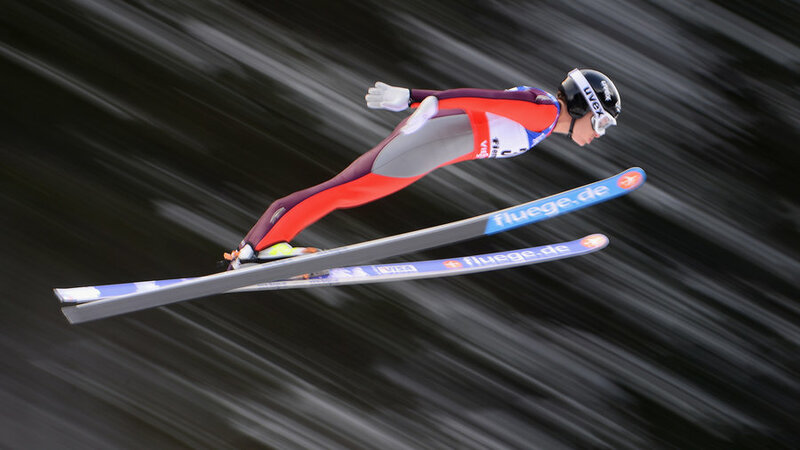 She has been ski jumping for 20 years — that’s about 20,000 jumps. She skis nearly 60 mph down an in-run and hurls herself off the ski jump, going sometimes as far as the length of two football fields. She is an American ski jumper who has competed since 2002. Van won a gold medal in the inaugural women’s ski jumping event at the FIS Nordic World Ski Championships 2009 in Liberec and has a total of eight Continental Cup victories in her career. In 2008, Van’s knee cartilage was crushed on the landing of a practice jump; she underwent knee surgery and five months of intense rehab. She returned to competition after six months but injured her knee again. Van has experienced four knee surgeries and a ruptured spleen. In 2009, American Lindsey Van, of Park City, UT, became the first World Champion in women’s ski jumping after winning the first World Championships to allow women to compete. She’s the only American (male or female) to win a Gold at a World Ski Jumping Championships. Lindsey became the instant face and spokeswoman for the fight to get women’s ski jumping added to the Olympic Winter Games program. 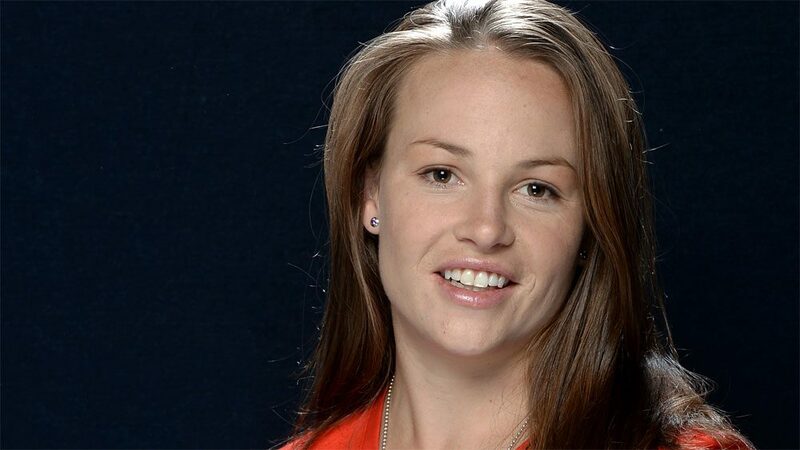 She and her Women’s Ski Jumping USA teammate, Jessica Jerome, courageously were the first to sign on to a gender discrimination lawsuit against the Vancouver Organizing Committee in 2008. They risked alienation and retribution from the International Ski Federation and the International Olympic Committee. They soon were joined by 13 additional ski jumpers from around the world. Lindsey has had her fair share of injuries. She’s endured back-to-back summer surgeries on her ankle (last year) and knee (this year). Last year she finished 5th in the world despite having mono for half the season. Keeping her body healthy is her No. 1 priority heading toward Sochi. But what she’s most proud of so far in her life is her decision to become a bone marrow donor. In 2011, she learned she was a bone marrow match for a man suffering from Leukemia. She was able to donate twice that year and later learned that the man’s cancer was in remission. She hopes to be able to meet her recipient one day soon.